Composed by Evelyn R. Larter, ASCAP. Christian, Sacred, General Worship, Wedding, Recital. Score. 10 pages. Published by Evelyn Larter Music (S0.306539). 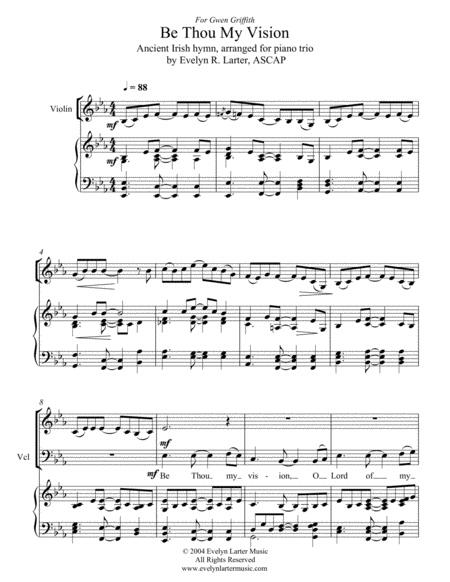 A favorite hymn of many people, this arrangement of Be Thou My Vision, tune Slane, has gentle syncopation throughout, with the violin and cello each taking turns on the melody. 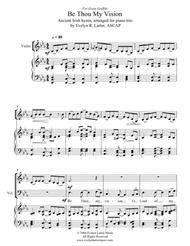 This would be ideal for a church prelude or offertory, wedding prelude, or in a recital, perhaps as the encore. More information about my music may be found on my website, www.evelynlartermusic.com, or on my Facebook page for Evelyn Larter Music. Feedback always welcome!